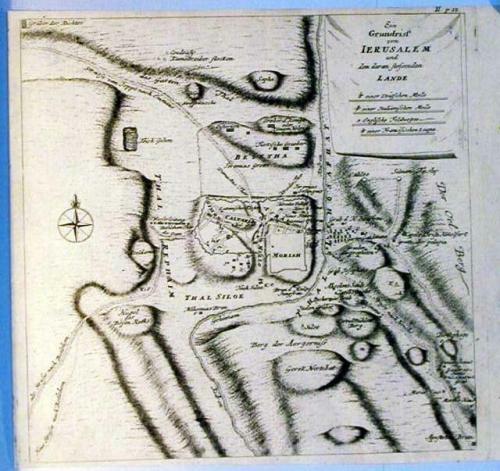 A scarce map of Jerusalem and its environs based on Pococke's map of 1754. The engraving has been trimmed to the plate mark on three sides to fit into the book. The map has also been professionally deacidified and pressed. Folds as given.